Every Thursday A.M. Actor/Director/Fantasy Football Beast Michael Rapaport aka GM of RapaportsDelight aka There Will Be Blood brings you the Fantasy Football Follies presented by DraftKings. 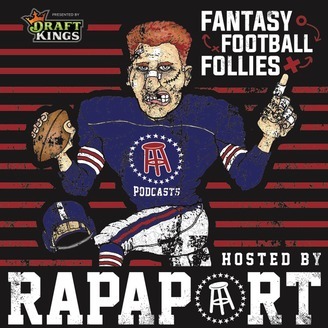 Rapaport is bringing the personality to fantasy while delivering expert guests each week to speak on the fantasy and actual gridiron. This is the only podcast that lives by these bylaws: - There are NO friends in fantasy - Don't follow trends, set them - Go with your gut - Live to dominate the waiver wire - Win every draft - Know your guys, get your guys - Talk smack when you're winning, talk more smack when you're losing - Fly your fantasy flag HIGH - Relish in doing your research - Yearn to be the MVP of Fantasy - Follow these and you'll capture the Kings Crown in DFS & League Play Taking you all the way through the NFL Season, into your playoffs and to your own personal parade of confetti. Hoist the Lombardi in Fantasy and have fun along the way while showing no mercy. Smash that Subscribe button and come Dance with The Dingo. 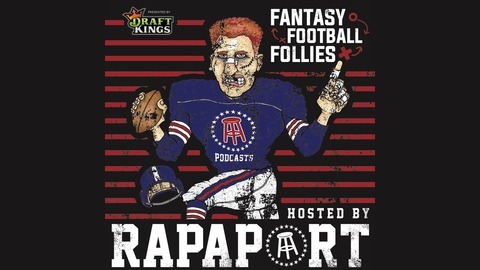 Fantasy Football Follies, a Barstool Sports podcast.